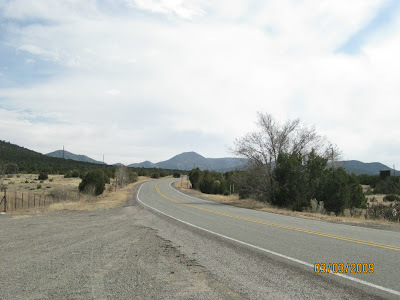 Highway 14 (aka Turquoise Trail) is the scenic highway connecting Albuquerque and Santa Fe. You could say this is the route for non-commuters, lollygaggers, dreamers and, on the weekends in high season, tourists. Anyone who’s in a hurry takes Interstate 25 (75 mph), but blissfully, we were not. Starting in Albuquerque to the south, you begin at the base of the Sandia Mountains, which tower over Albuquerque. (See some amazing photos here.) There is literally no spot that doesn’t have a view of them. You then unsuspectingly climb much higher in route to Santa Fe (7,000-feet high,), which is a fact is of no small significance. Though these cities are less than an hour apart, there is a ten-degree temperature difference due to the altitude. If it’s 70 degrees in Albuquerque, expect it to be 60 in Santa Fe. And yes, I said altitude stupidity, not altitude sickness. Although I did experience a few moments of dizziness and dehydration the first few days, what I experienced more intensely was feeling dumb as a rock. For example, I “lost” my cell phone, only to find it in my hand. Twice. Rather embarrassing stuff like that. So when people talk about the effects of altitude here (such as actor Seth Rogen, who said that his difficulty breathing while filming in New Mexico is the reason he had to lose weight), they really need to include a warning about this one! As you get further from Albuquerque on Highway 14, the terrain changes from evergreen mountains fed by snow to high desert. Then suddenly you find yourself in Madrid, a town so kooky that it makes Santa Fe seem almost staid. The first clue? It’s pronounced “MAD-rid, not “Ma-drid.” The second? It’s almost entirely populated by artists, some 300+ of them. (A fact often quoted is that it has more artists per capita than anywhere else in the US.) “We’re a big, dysfunctional family,” one of them told us cheerfully. A former mining town deep in a gulch, Madrid is like a Wild West outpost, freethinker’s refuge, art gallery and little bohemia all rolled into one. Every old house facing the road has been converted into a gallery or store selling art, sculpture, snacks and more. In many cases, the wares are out front, and the artist lives in back. Everyone know everyone, and with no more building permits available (due to a lack of water), the town has been saved from modern development. 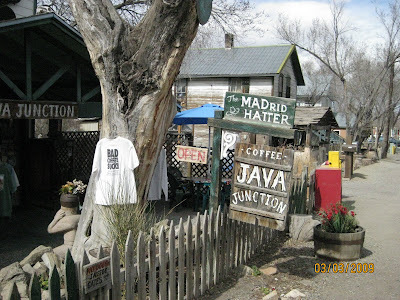 Despite the tiny population, you can get a drink at the Mine Shaft Tavern, a coffee at Java Junction (also a hat shop and B&B) and a gourmet meal at The Hollar. You can buy all manner of art. 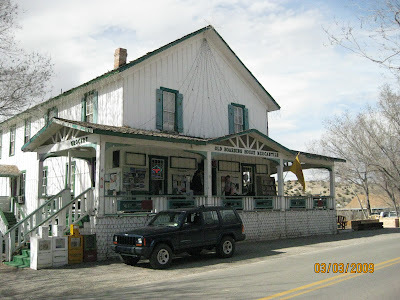 You can even buy rent movies at the general store (pictured below). But more importantly, you can interact with lots of spirited artists. Some are incredibly friendly, others are wary of newcomers (one artist told us it took him five years to “get into the club”) and many are full of love/hate for the tourists who fuel the town. But it’s safe to say that not a single one of them seems to want to leave. The same could not be said for the "ghost town" of Cerillos, just three miles north. From the looks of it, everyone has left. But it turns out that’s not really true, and those who do live here enjoy the façade of a deserted place. That way, no one bothers them. It’s spooky driving through a seemingly abandoned town that you know has people in it. 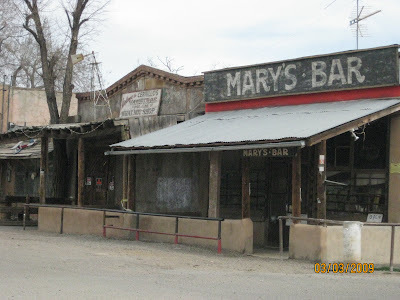 (Mary's Bar, pictured below, is still operating, believe it or not, with 91-year-old Mary Mora behind the counter). There are walled compounds that contain hints of life, but not for your prying eyes to see. Compared to colorful, commercial Madrid, Cerrillos is the place to truly hide – not just from people, but from the present day. Back on Highway 14, it isn’t long before we reach Santa Fe and are assaulted by the unimaginative, copycat nature of the modern world. (That is to say, the southernmost parts of Santa Fe developed in recent decades.). Strip malls. Starbucks. 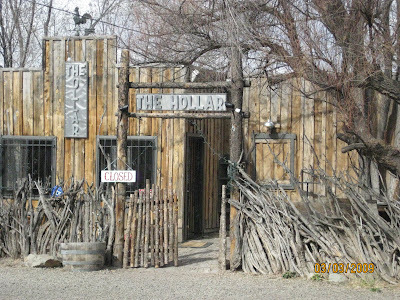 Or our Holiday Inn Express, built self-consciously to look “rustic” and “Southwestern.” Yes, it was perfectly comfortable and not unattractive, but who are they fooling? Fortunately, downtown Santa Fe remains one of the most distinctive places in the world, with its twinkling artistry and singular architecture. 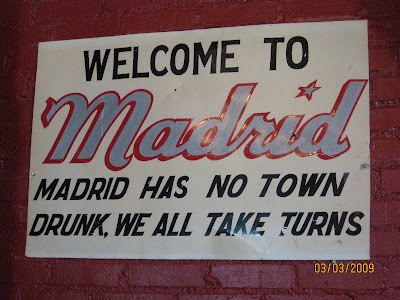 It’s a bright spot in the sea of sameness, with Madrid as its most defiant satellite. But is it still my top geographical crush? We love following you on your travels and seeing things thru your eyes. We travel when you travel. We will keep a bottle of "Fire Fly" for your return. Your friends at the Honey Hole, Apalachicola, Florida. I love the taking turns as the town drunk idea. This place is definitely on my to-visit list! 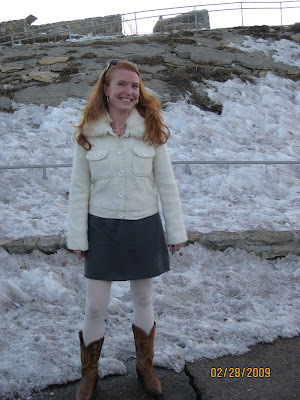 Kris, if we move to New Mexico (see upcoming blog posts! ), you guys must come visit. We will actually have a true spare bedroom, and we can go "take our turn" in Madrid! p.s. For any moms out there, don't miss Kris' blog: http://momtourage.net/.